KmM = Kilometer Marker. Where the markers are specifically for cyclists, they count down towards the top. Read this page for a lot of background information about cycling in the French Pyrenees. I’ve been to many charming mountain villages but Saint-Lary-Soulon is not one of them. I found it rather gray and bleak. However, the cycling is pretty good. 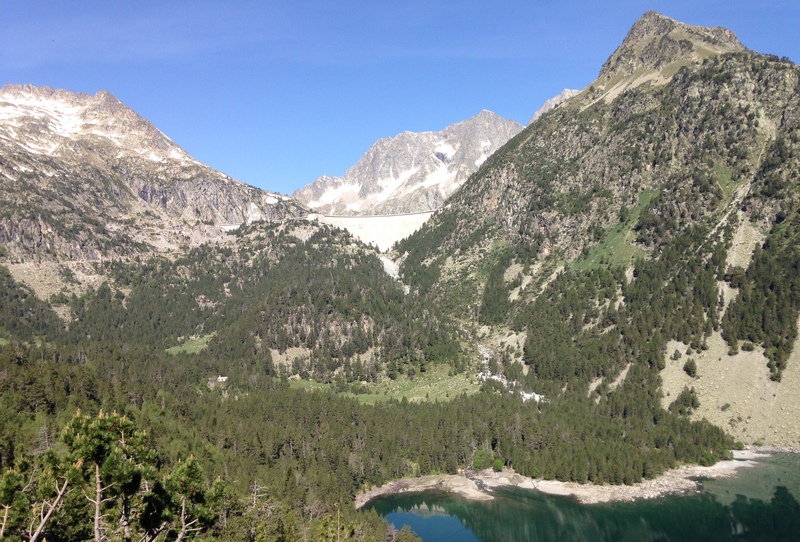 Right out of town are the climbs of Pla d’Adet and Col de Val Louron-Azet, then heading south you have Piau Engaly, and the fantastic Lac de Cap de Long and the Route des Lacs. To the north is the Col d’Aspin – regularly used in the Tour de France – and the Houquette d’Anzican. 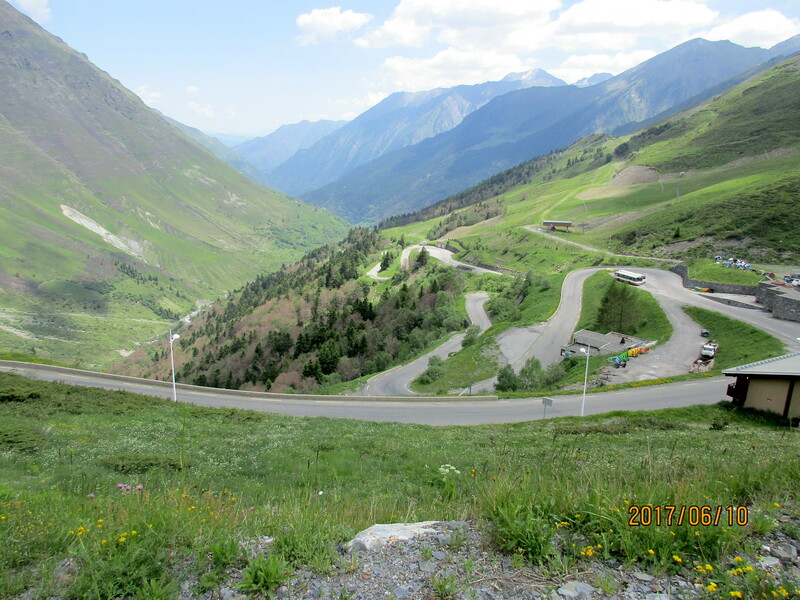 This is perhaps the most famous of the rides around Saint-Lary-Soulon as it’s been used as the finishing climb in the Tour de France. Pla d’Adet is a ski area and the buildings at the top dominate the western skyline, looking vaguely like something from Star Wars. As you look more closely you see the huge switchbacks to the right leading you upwards. Make your way to Vignec, a small village at the base of the big switchbacks. From here it’s 10 km to the top with 820 meters of climbing. 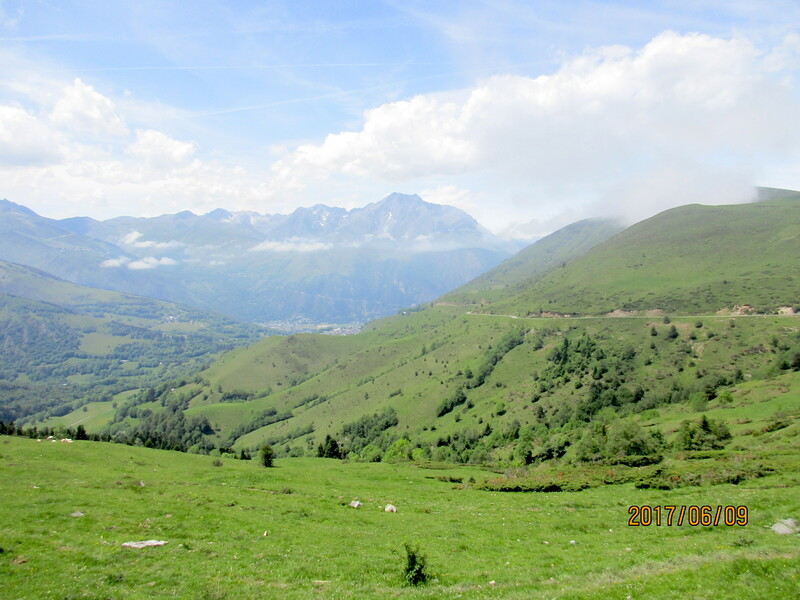 Unlike some climbs where the steepest section is at the end, Pla d’Adet starts off steep, averaging 10% and 9% for several kilometers. Start up the huge switchbacks following signs for Pla d’Adet (also known as St Lary 1700). After about 5 km you go through the small village of Soulon and it feels almost flat. 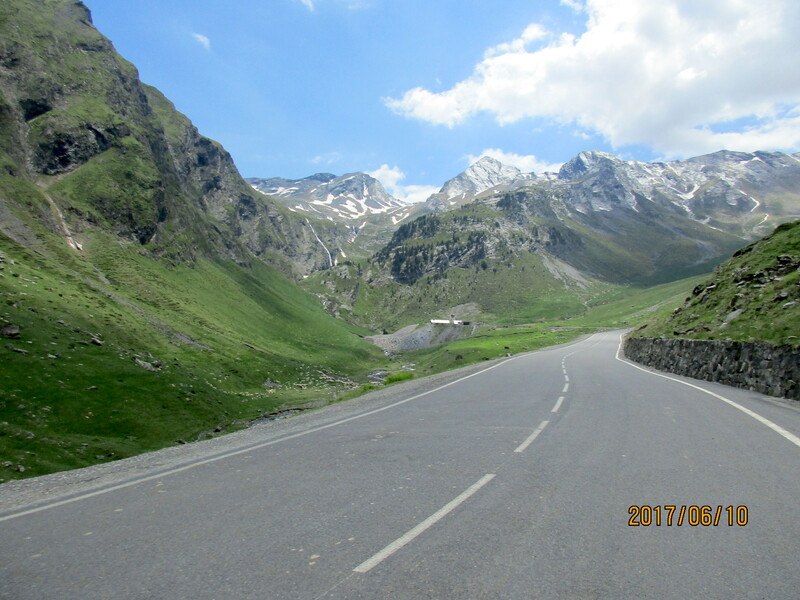 Soon you head back into a valley for a couple of kilometers until the road sweeps round to the left to Pla d’Adet. (To the right is St Lary 1900). Now you only have some 7% climbing left to the top and the bleak buildings of Pla d’Adet. Extra credit: On the way down, turn left to St Lary 1900. Follow the one-way loop until you see a sign on the right for Route du Col de Portet. Turn right and climb this until the road turns to dirt. This little extra gives you another 4.5 km round-trip and 170 meters of climbing. Sometimes known as the Col d’Azet, this is a wonderful ride. It’s worth doing as an over and back so you get both sides. The east side, from Génos is shorter and starts with about 12 switchbacks, mainly in the trees. It has a couple of kilometers that average 10% and a couple that average 8%. The west side, from St Lary is far more appealing; it’s varied and has much better views. It’s not quite as steep as the east side, only averaging 8% and 9% for a few kilometers(!) and I found it by far the most enjoyable side. From the roundabout at the very south end of Saint-Lary-Soulon, ride south for maybe 100 meters then turn left on the D-25 towards Azet. Continue easily through the little village of Sailhan, then meander steeply up through Azet. The next 5 kilometers are beautiful with spectacular views. At the top head down for 7.5 km to Génos. As you enter the village turn round at the roundabout and retrace your steps. You have about 4 km of switchbacks in the trees then you enter open country and things become prettier. A bit under 6 km from Génos turn right following the sign for Azet and St Lary. A stunning ride with spectacular views. Will, at Cycling-Challenge, says ‘Top-to-bottom, the best road-bike climb that I have done in the French Pyrenées” and I’m not going to disagree. It may not give you bragging rights like the Tourmalet but it’s an even better ride. About 5 km from the top there are two branches, one that goes to Lac de Col de Long and the other to Lac d’Aubert. Do both. If you can only do one, I’d recommend the left branch to Lac de Col de Long. Going to both lakes from St Lary gives you about 56 km and 1,760 meters of climbing. From the roundabout at the very south end of Saint-Lary-Soulon, ride southwest along the D929. This is not too steep but the road surface sometimes could be better. After about 5.5 km you pass through Eget Cité with its big hydro power plant. At almost 9 km turn right (still on the D929) following the sign for lac de Cap de Long. Immediately the road narrows and you enter a deep narrow valley. At times the road is almost flat and at other times it rears up to 9-11%. The valley widens out then at one point you climb a short series of tight switchbacks which are fun. Eventually you reach a junction with a big lake (lac d’Orédon) down below to the right. Take the left-hand fork towards lac de Cap de Long. Shortly before 18 km from St Lary you get a fantastic view of the huge dam up ahead of you. This is your destination. Follow the road as it curves around the left side of the basin then cuts across the hillside towards the dam. A series of steep switchbacks (slightly gravelly road surface) leads to the top of the dam and views of lac de Cap de Long. Descend about 4 km to the intersection then descend down to lac d’Orédon. Continue up the road and after about 6.5 km from the intersection you’ll reach the end of the road at lac d’Aubert, and more fantastic views. Extra credit: Piau Engaly. An additional 21.4 km and 685 meters of climbing. Once you have descended all the way back down to the main road, turn right on the D118 following the signs for Spain and Piau Engaly. After just over 3 km turn right for Piau Engaly. Another 7 km takes you to the ski area building at the top. This climb is fairly consistent at the 7-7.5% gradient range. Extra extra credit: Tunnel d’Aragnouet-Bielsa. An additional 12 km and 446 meters of climbing. Once you have descended from Piau Engaly to the intersection of the D118 and D173, turn right following signs for Spain and the Tunnel d’Aragnouet-Bielsa. Follow the road up several switchbacks then continue straight back into a beautiful open valley and the entrance to the tunnel. Turn round at the tunnel entrance and ride back down.